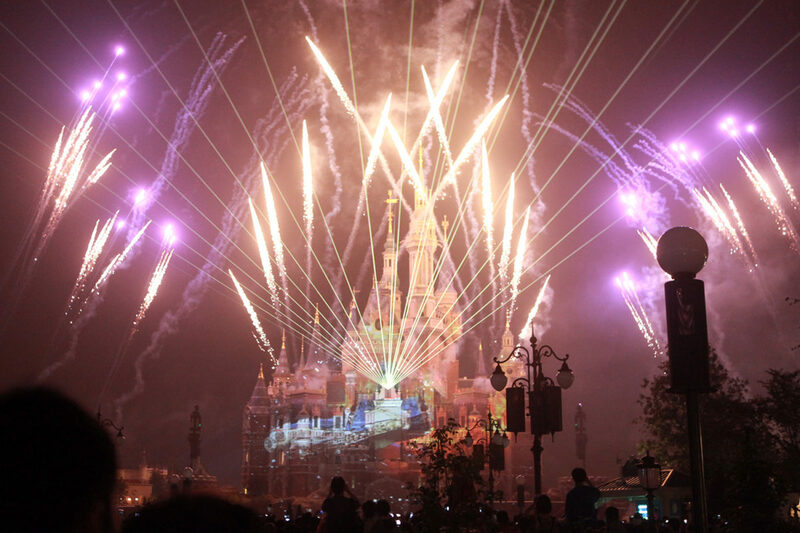 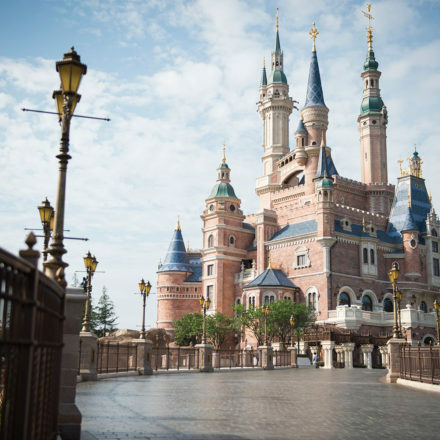 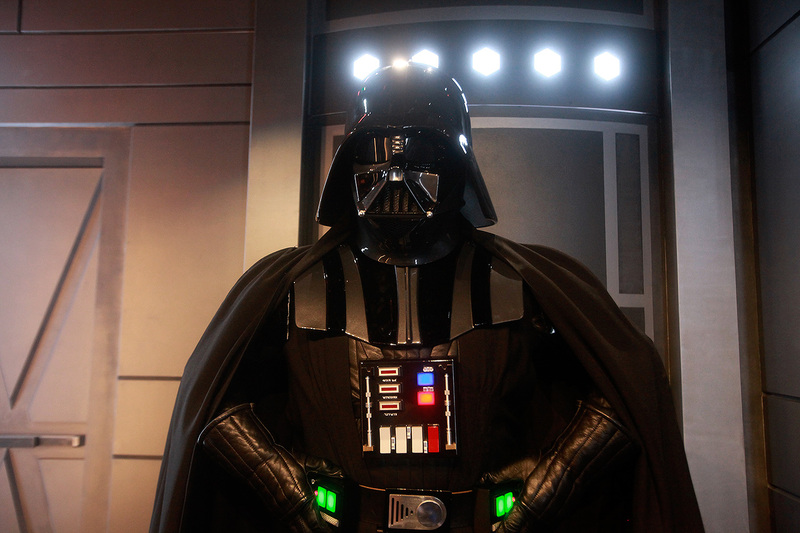 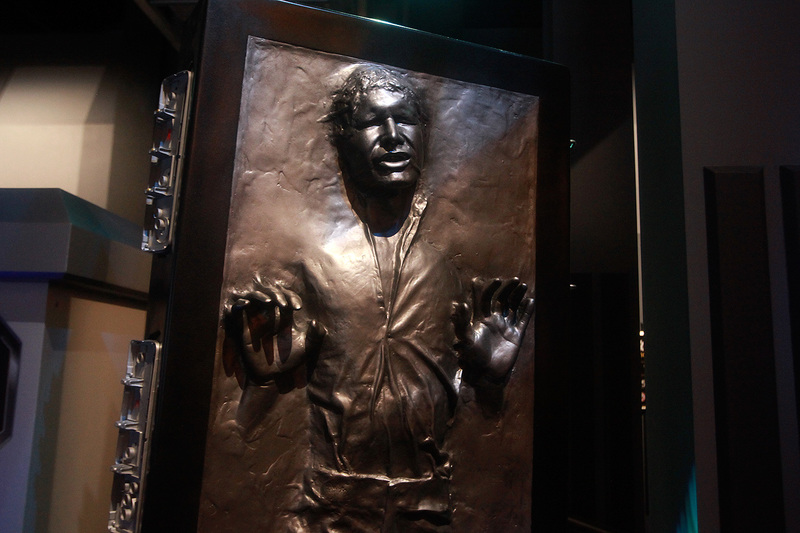 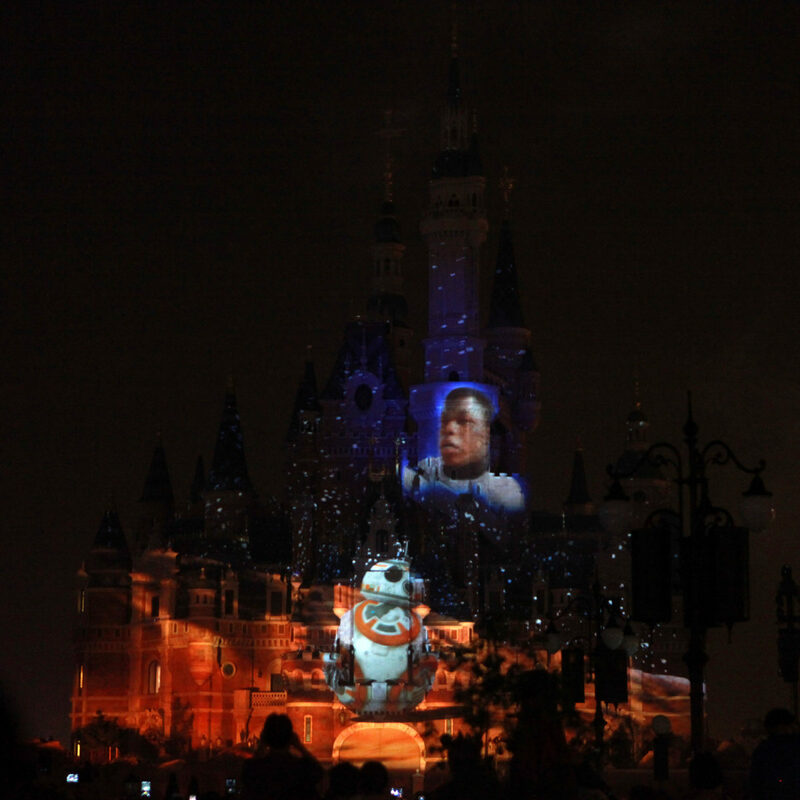 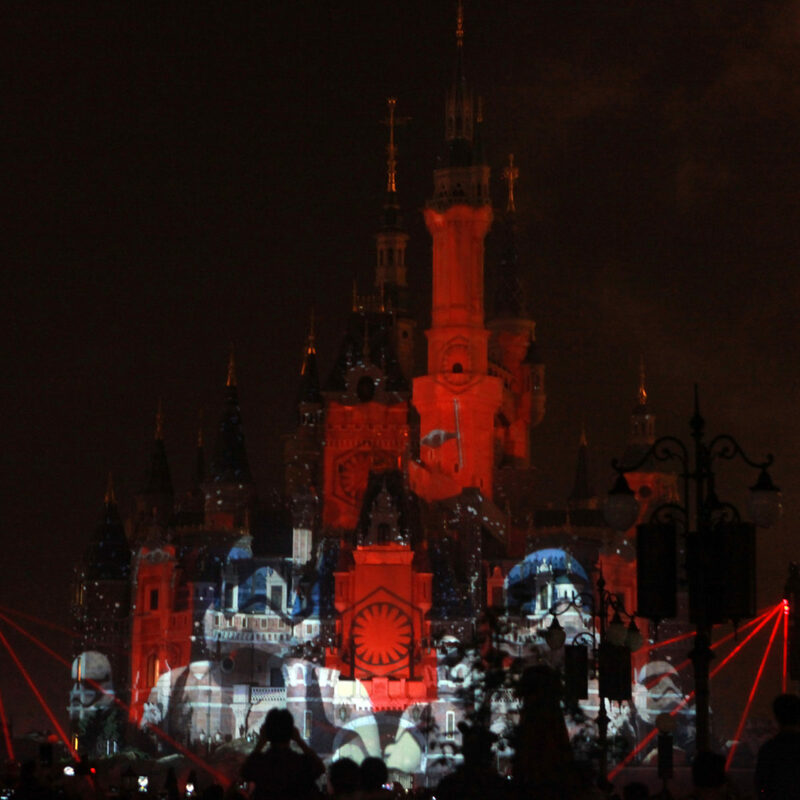 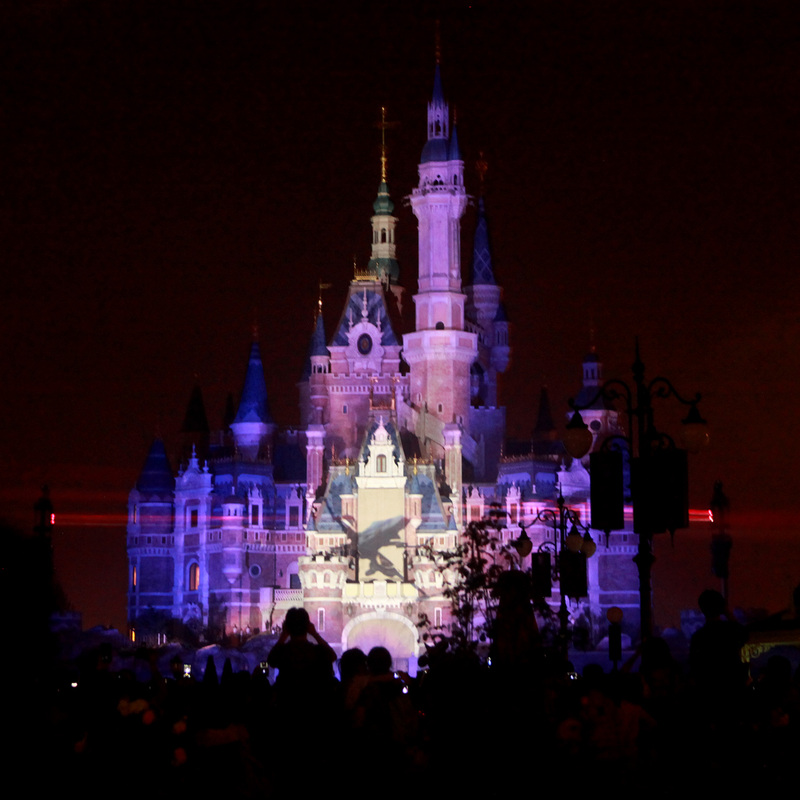 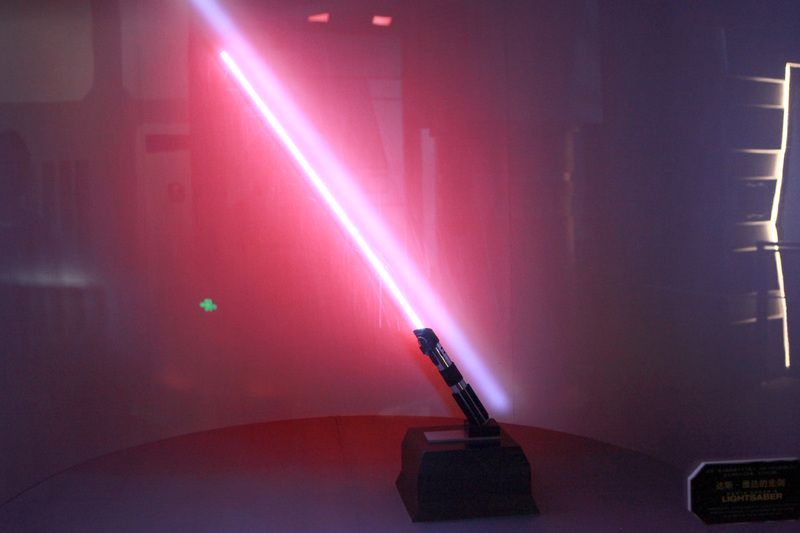 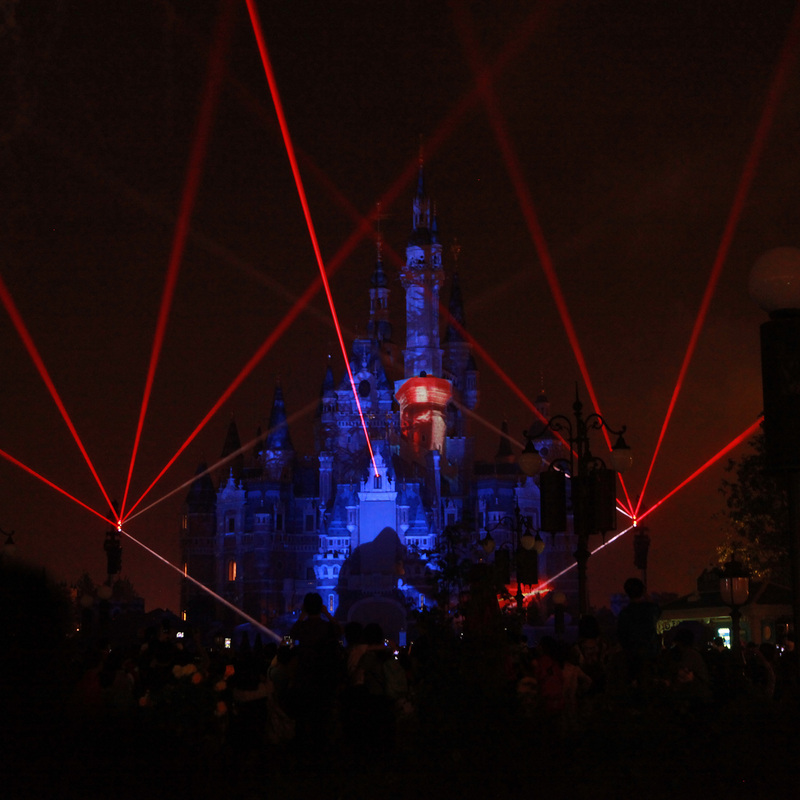 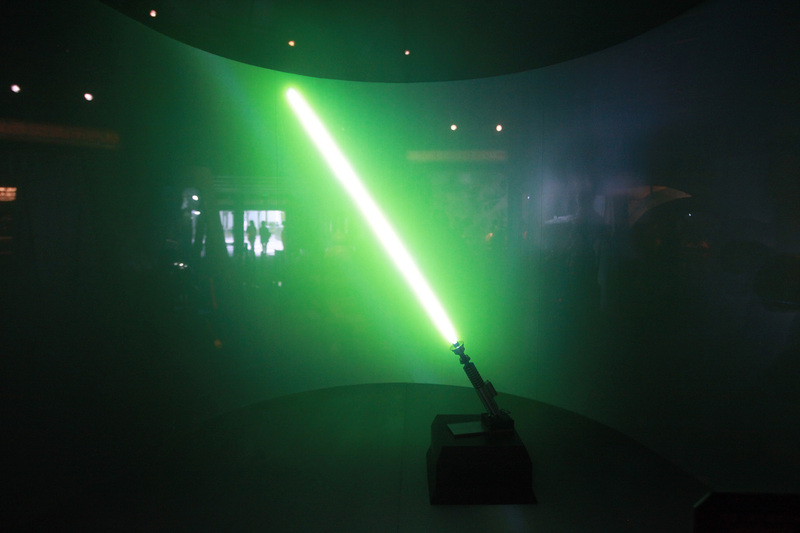 Disney’s purchase of Lucasfilm in 2012 has since blossomed into a money making juggernaut, and despite China¹s less than hot reception of The Force Awakens at the box office, Disney is trying its darndest to turn that around with their latest Disney Park: Shanghai Disneyland. 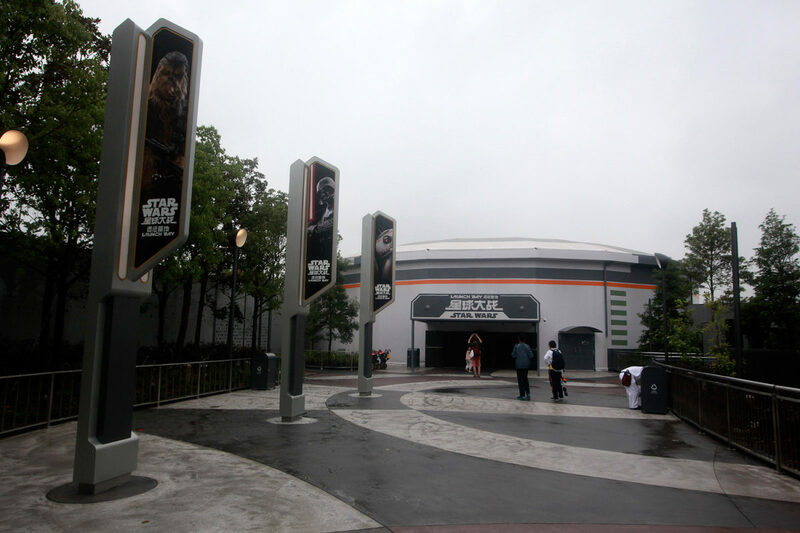 It was a later decision to add Star Wars Launch Bay to an un-utilized space in Tomorrowland but we wanted to take a look and see what they offered. 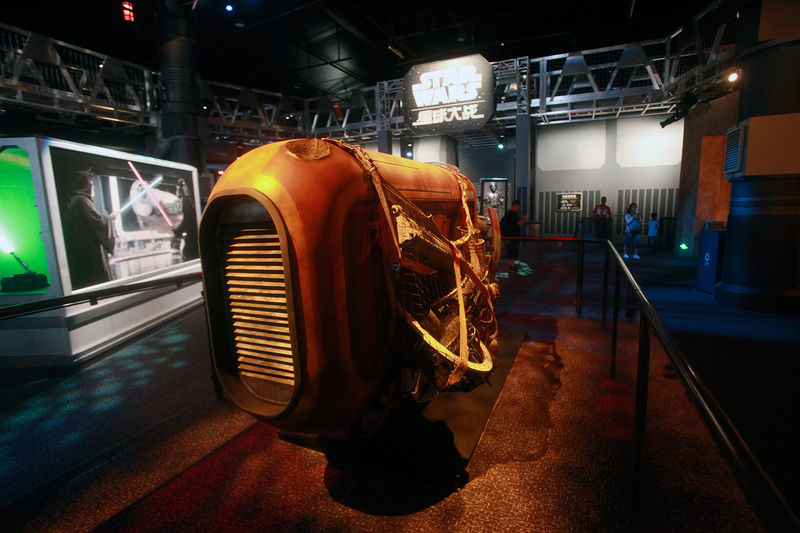 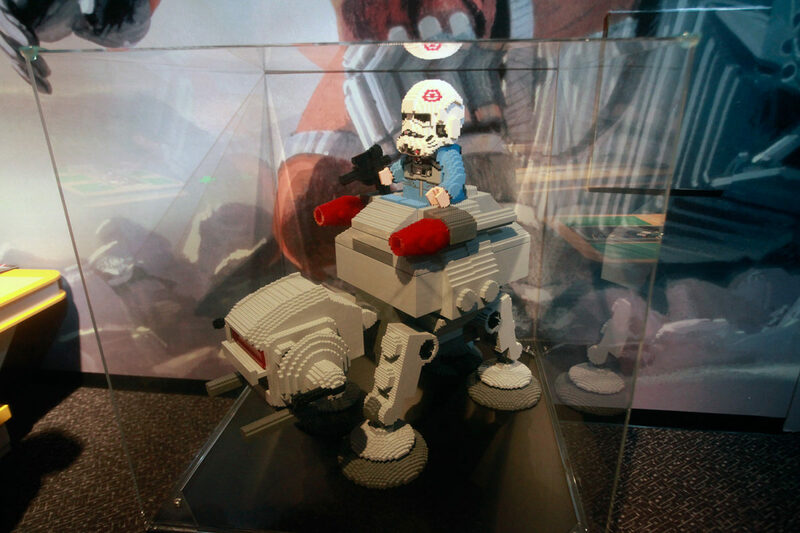 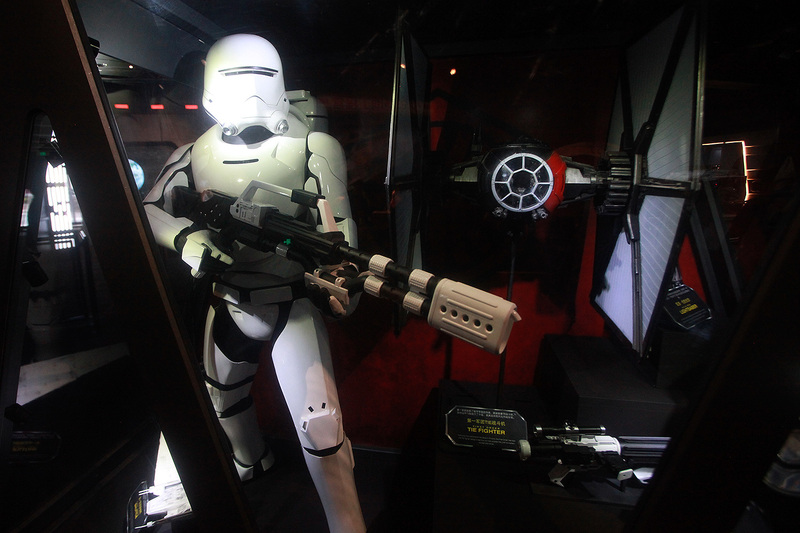 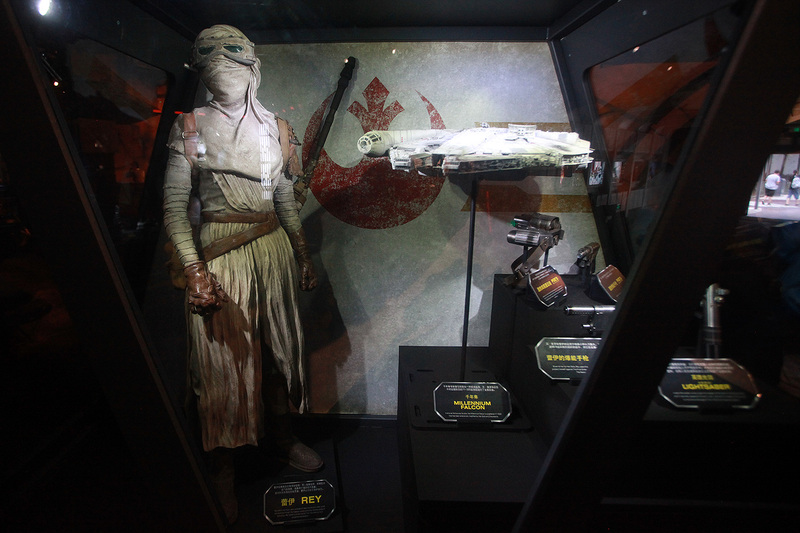 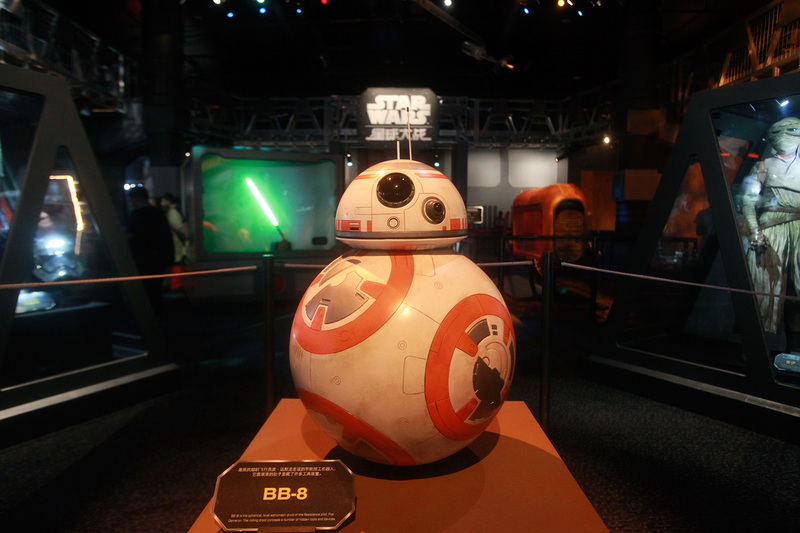 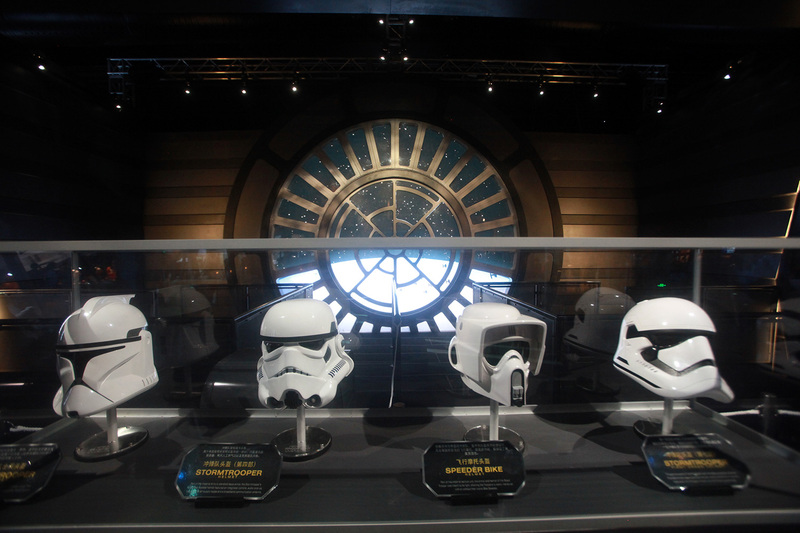 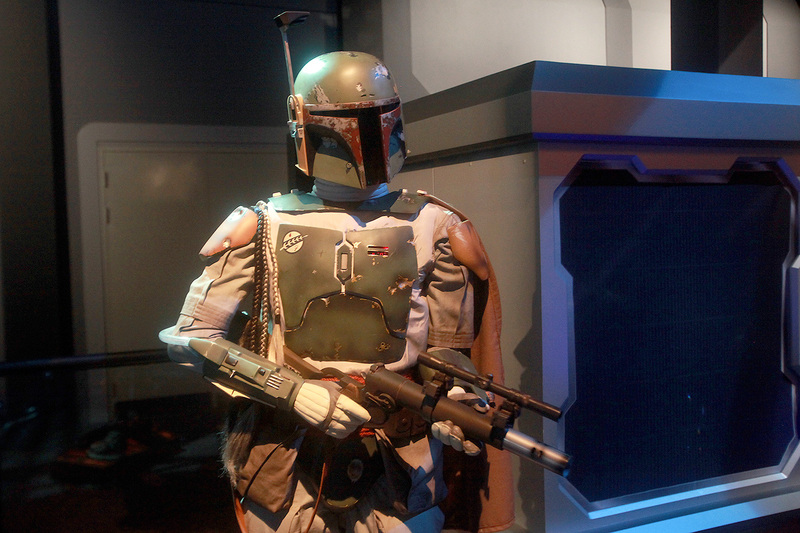 The main props and costumes that are front and center are the same you’ll find in Anaheim and Orlando, featuring the Flame Trooper, TIE Fighter, Rey’s Jakku costume, Rey’s Speeder, BB-8, and the like. 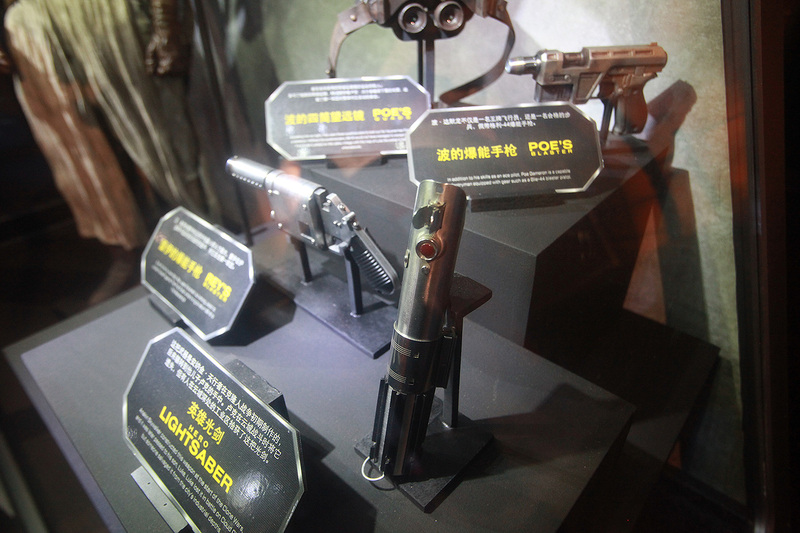 But there’s a few things here you won’t find elsewhere. 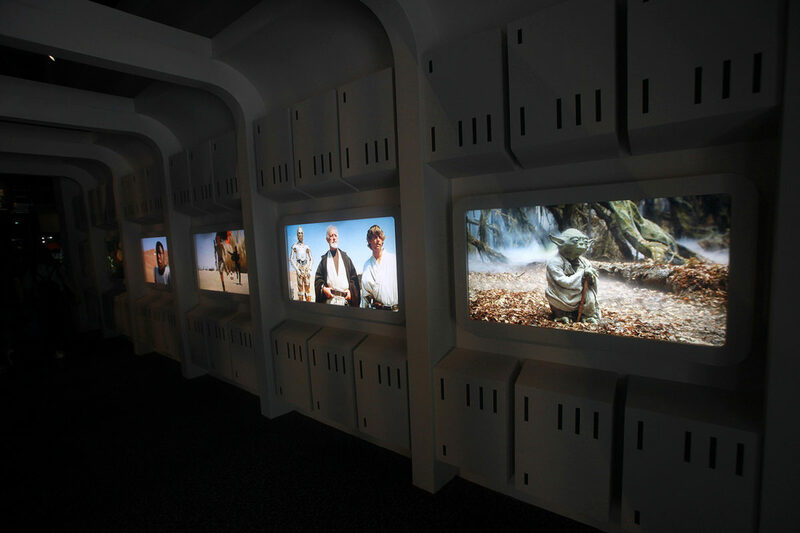 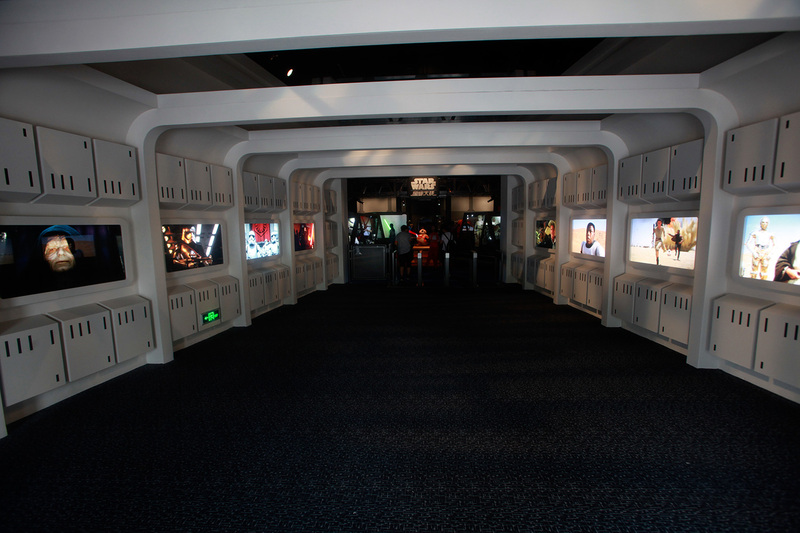 First off, the entrance of this Launch Bay showcases stills from the various films in the Star Wars Saga before reaching the open space. 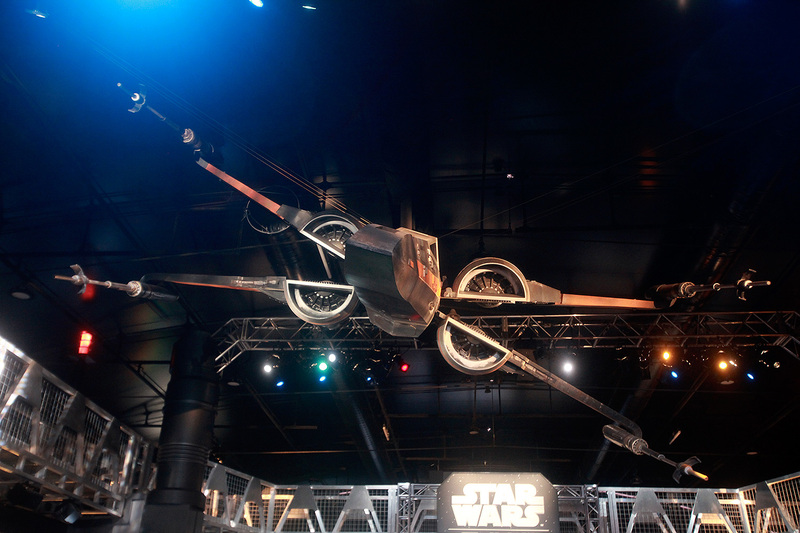 The biggest wow is seeing Poe Dameron’s black X-Wing Fighter hanging above. 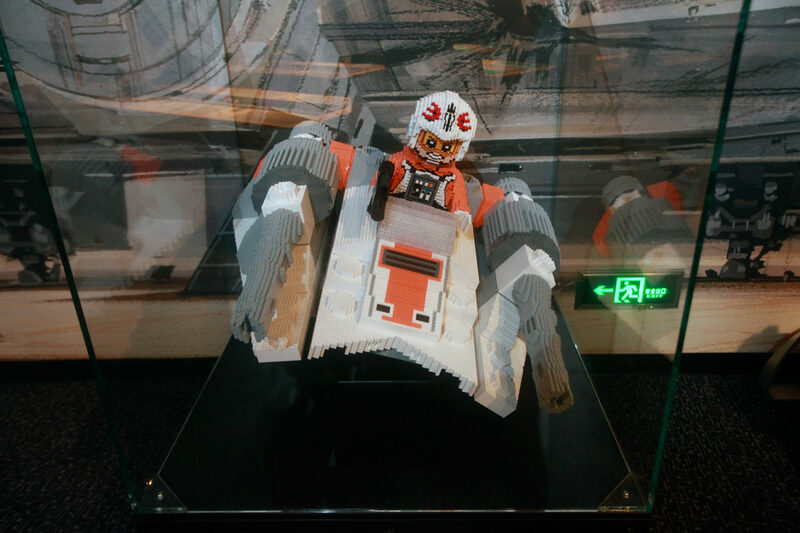 It’s not full scale but it’s certainly better than nothing. 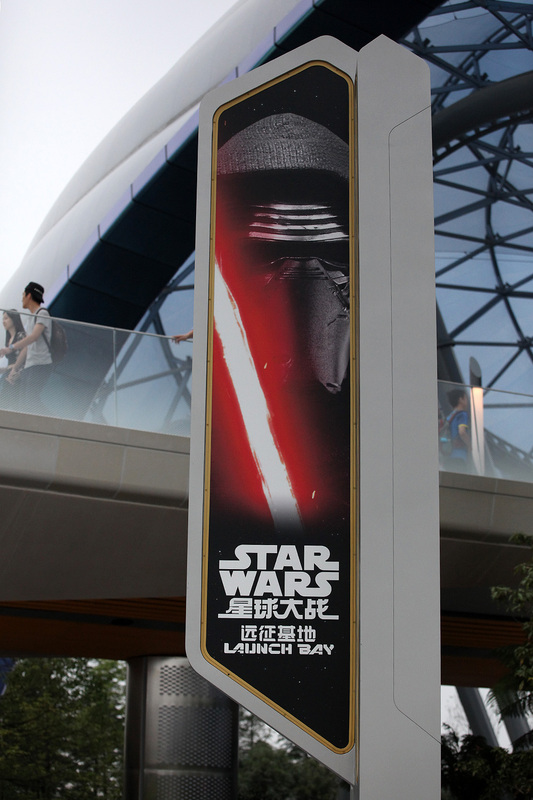 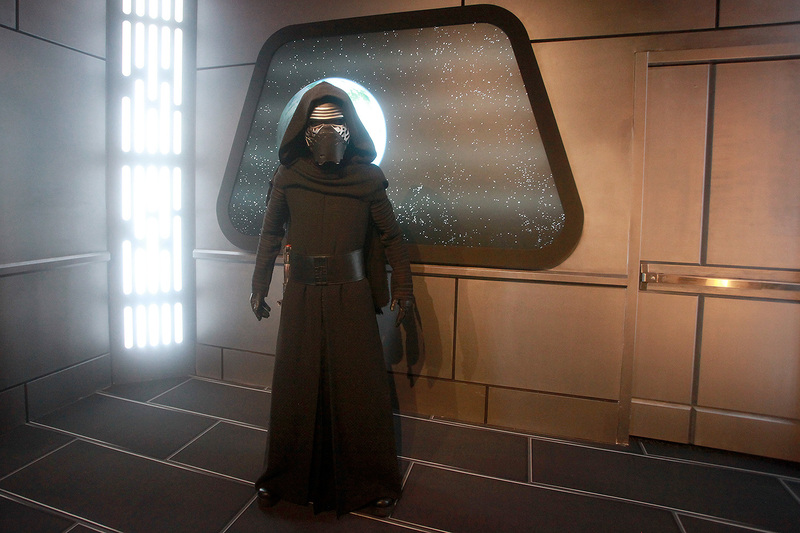 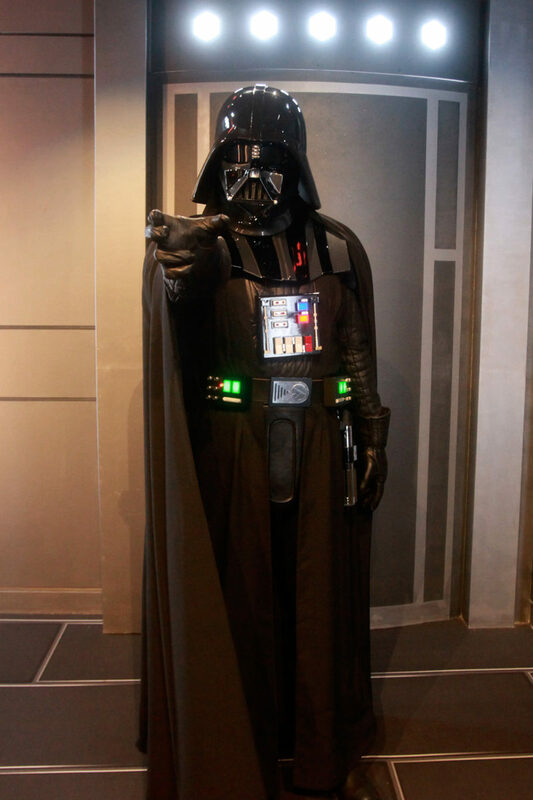 To the left of the Launch Bay is a souvenir shop as well as two meet & greets for both Kylo Ren and Darth Vader. 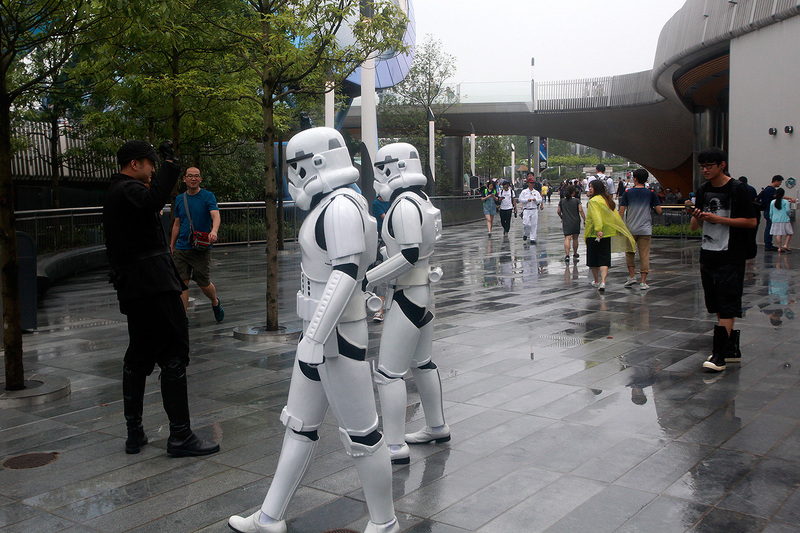 The queue is split with a display of Imperial troop helmets at the start of the queue. 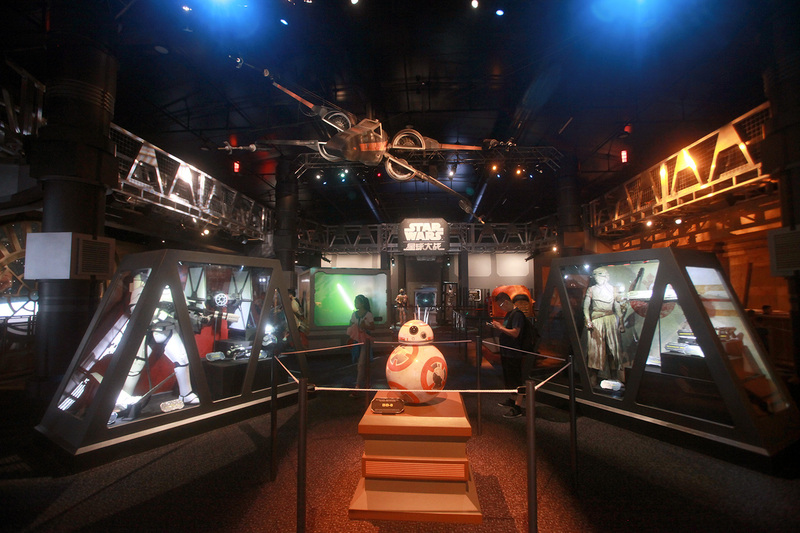 Lines were never that long here as most guests don’t even realize the Launch Bay is back here. 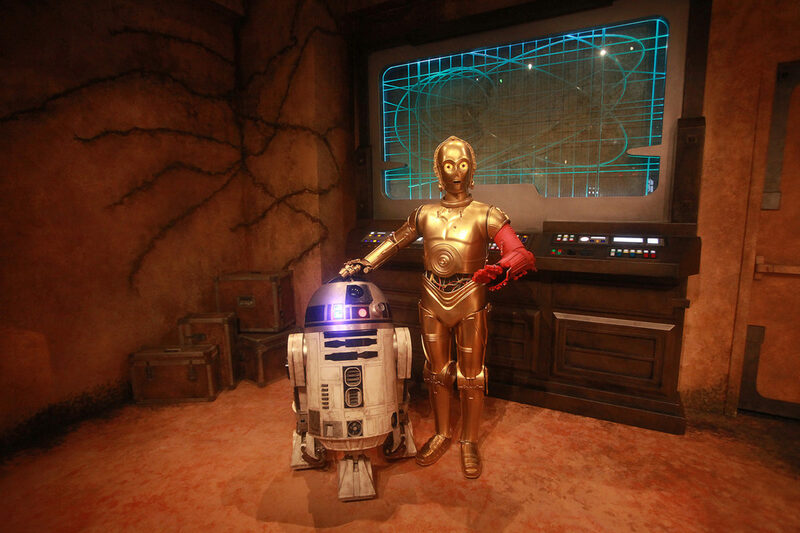 Over to the right is a meet & greet with R2-D2 and C-3PO, bearing his infamous red arm. 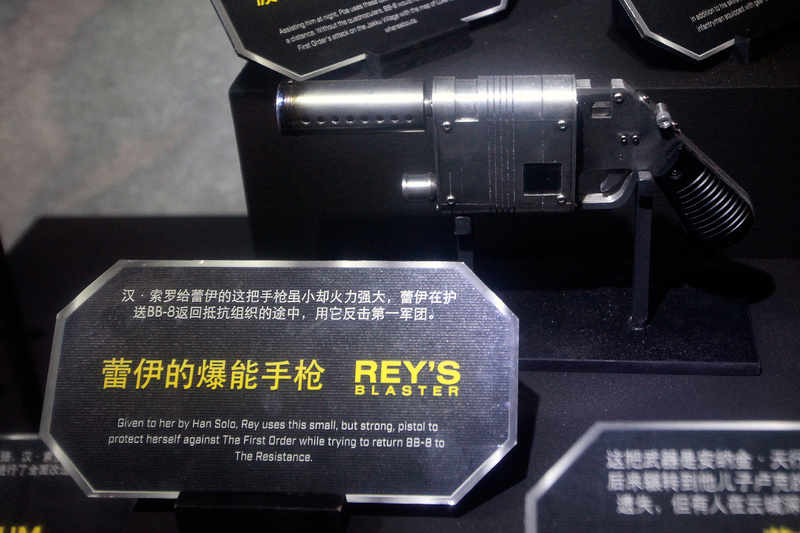 C-3PO, fluent in over 6 million forms of communication is perfectly comfortable using Mandarin here. 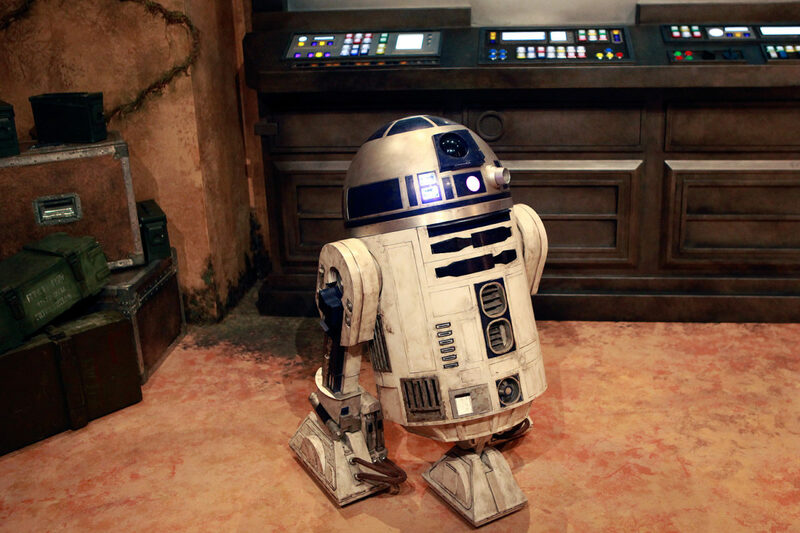 When 3PO is away, R2-D2 is left alone for pictures as well. 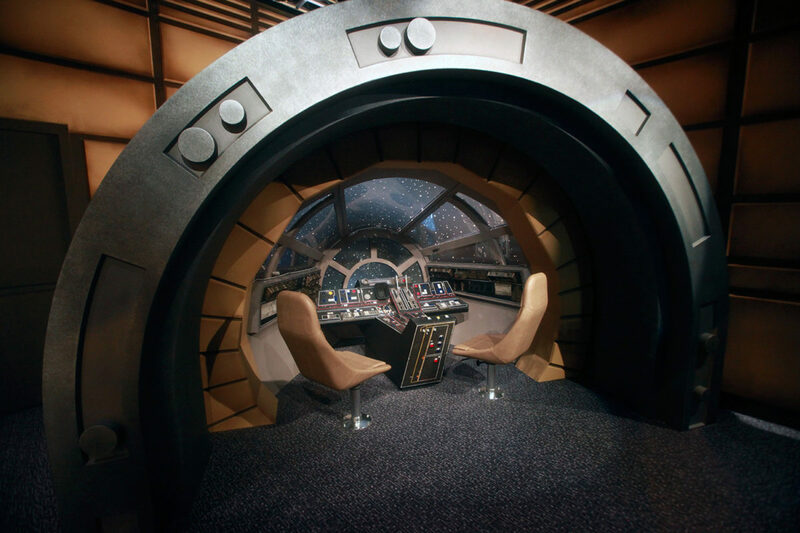 Then there’s the Millennium Falcon cockpit that you and a friend can sit in for pictures. 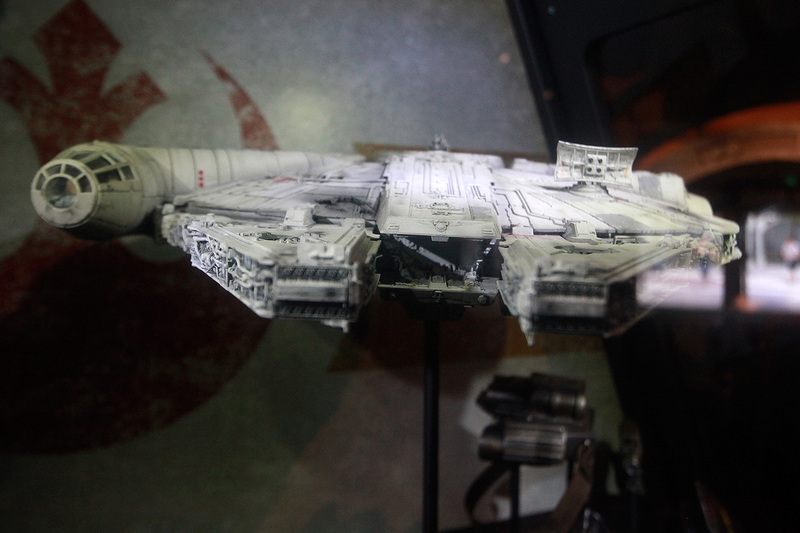 No, there’s nothing to see outside of the cockpit but it’s still a neat photo opportunity nonetheless. 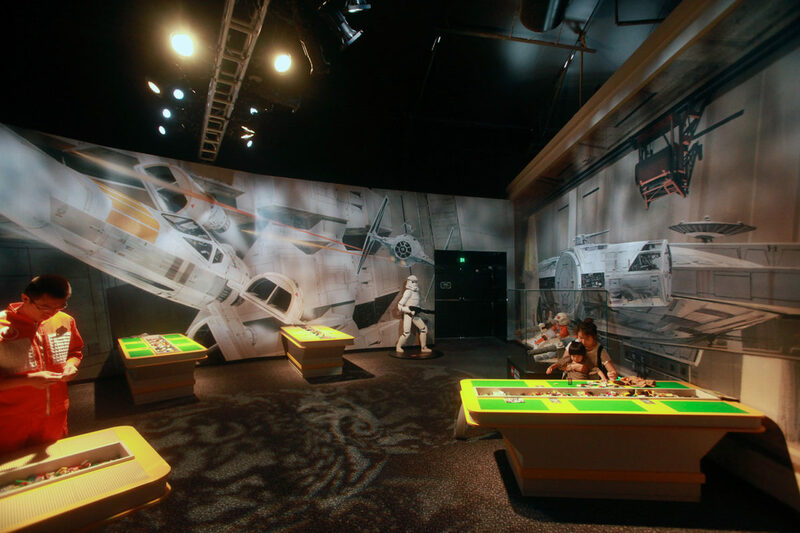 For the smaller kids, there’s a room for them to play with LEGO, but this sat mostly empty when I visited. 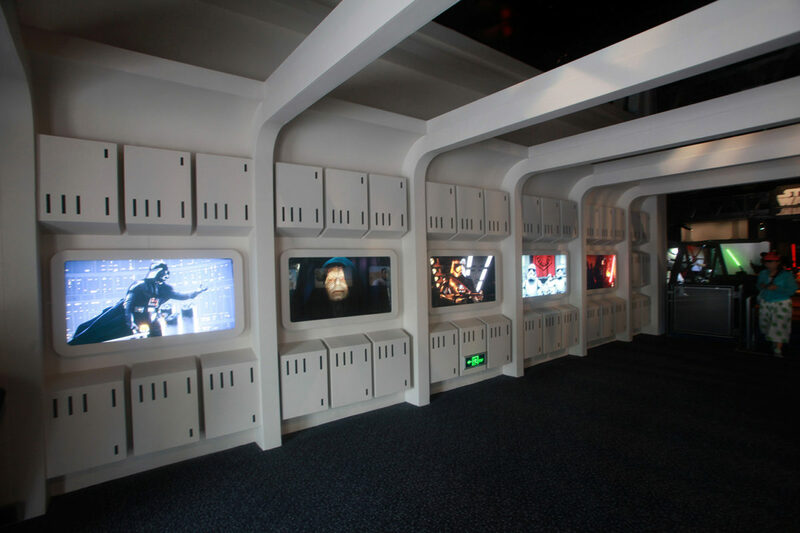 The compilation film Path of the Jedi was offered in a separate theater in the back of the Launch Bay for those interested. 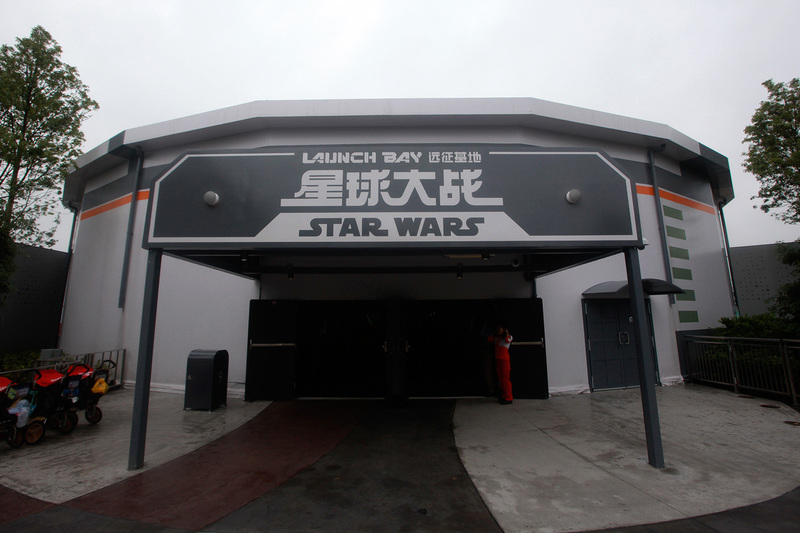 For a quick last-minute addition, Star Wars Launch Bay in Shanghai Disneyland is pretty neat and well put together, but only time will tell if it makes a real difference. 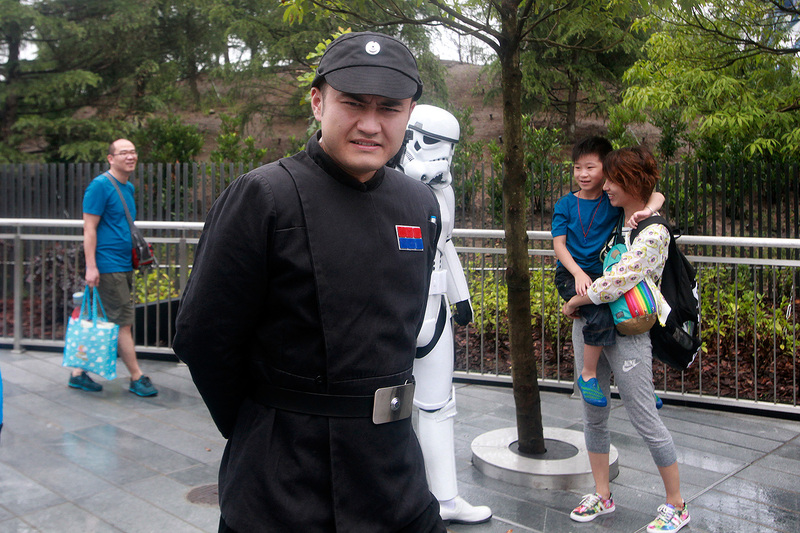 Outside, an Imperial Officer and Stormtroopers can be seen interacting with guests, and I did see my share of kids with Kylo Ren lightsabers and BB-8 hats. 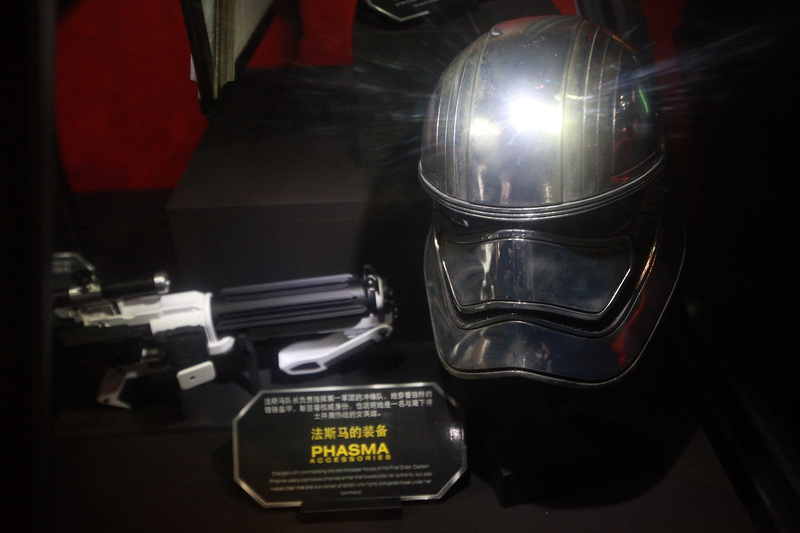 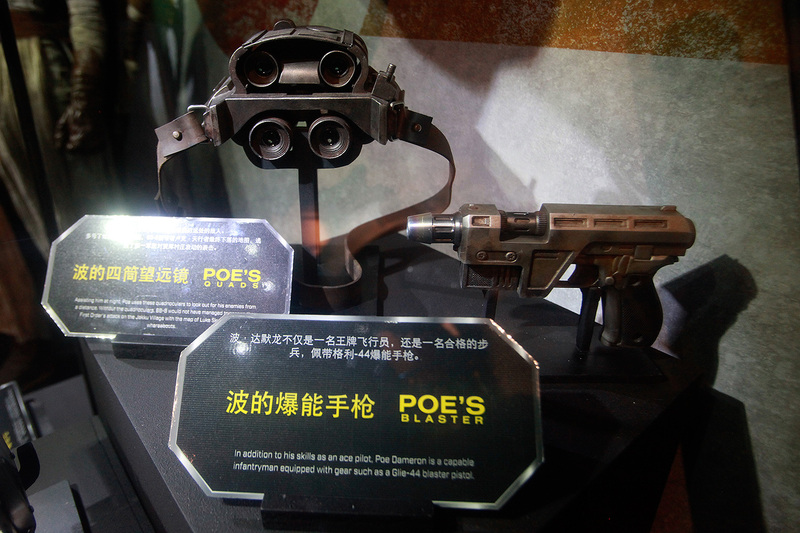 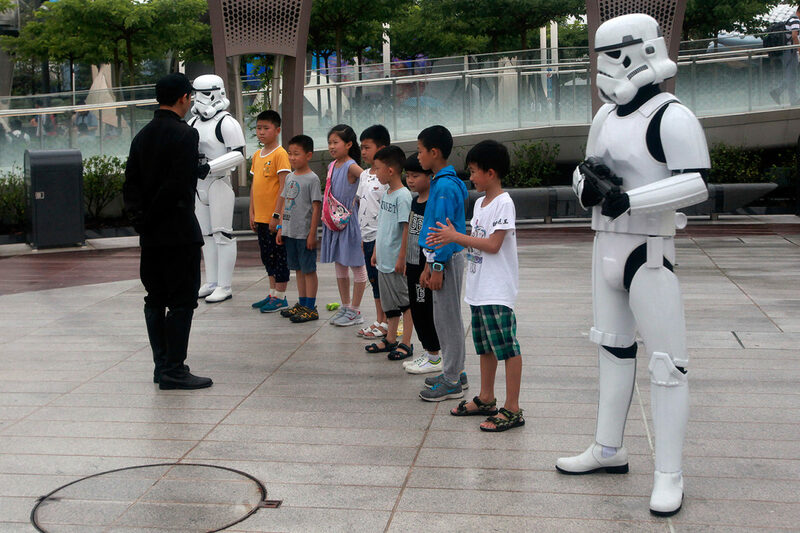 It’s encouraging to see that Star Wars seems to hit home for the younger demographic in China. 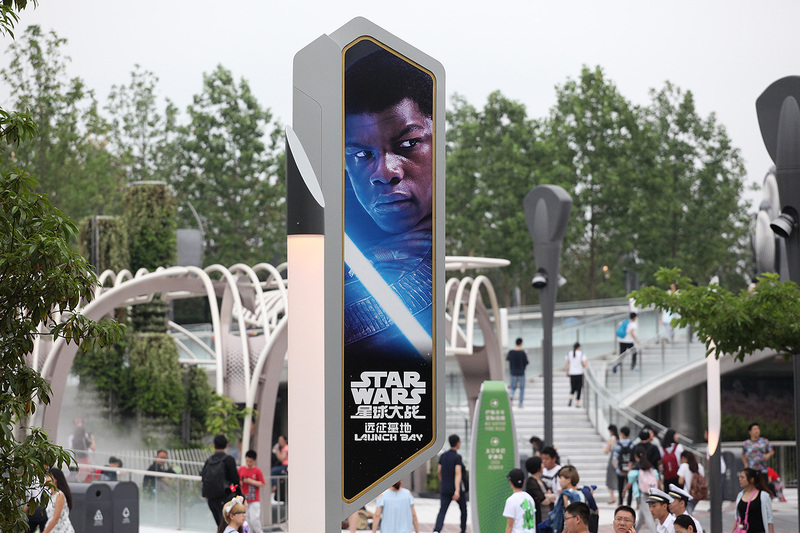 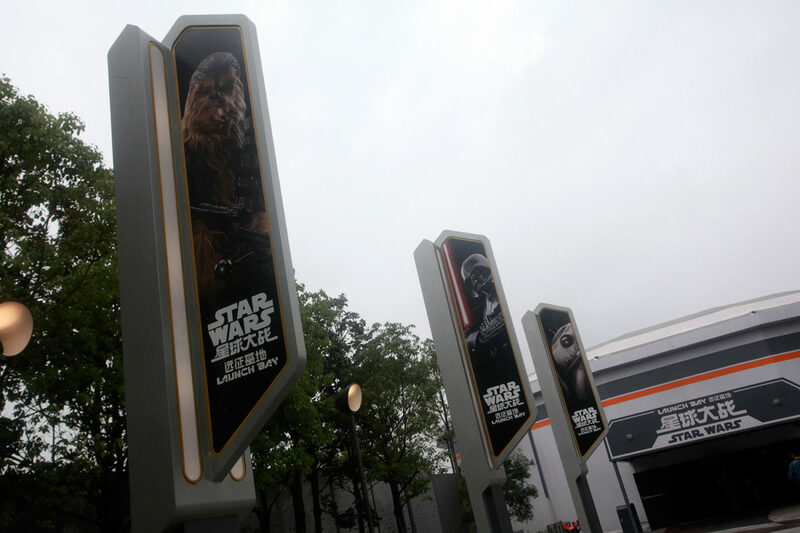 In the main park, Star Wars presence can be found in IGNITE THE DREAM: A NIGHTTIME SPECTACULAR OF MAGIC AND LIGHT in a small segment featuring The Force Awakens, X-Wings and TIE Fighters. 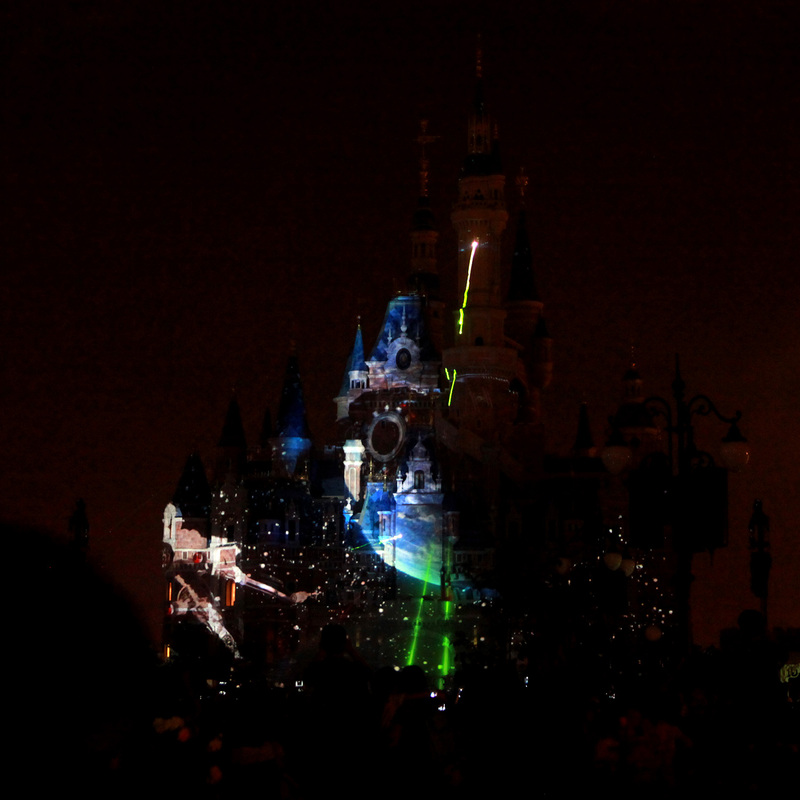 The main theme and March of the Resistance fill the air as but quickly transitions to other Disney properties. 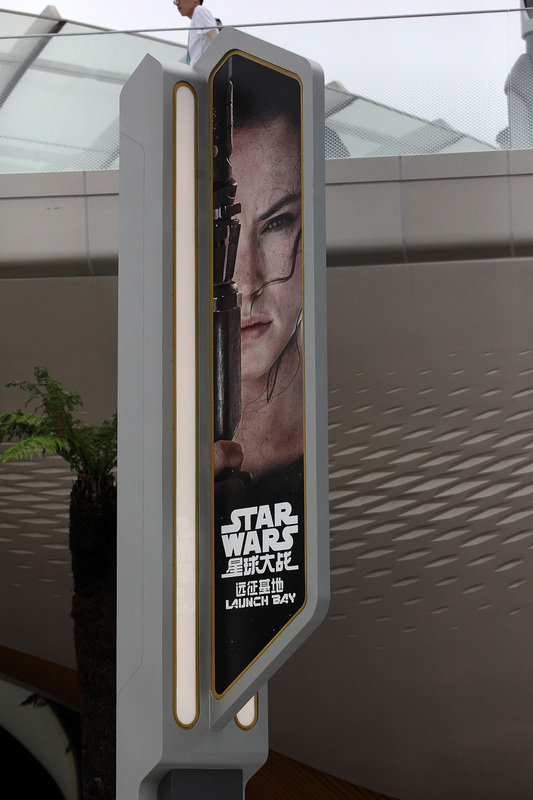 It may take some time before star Wars hits it as big as does here in the states but it’s great to see that there’s at least an effort. 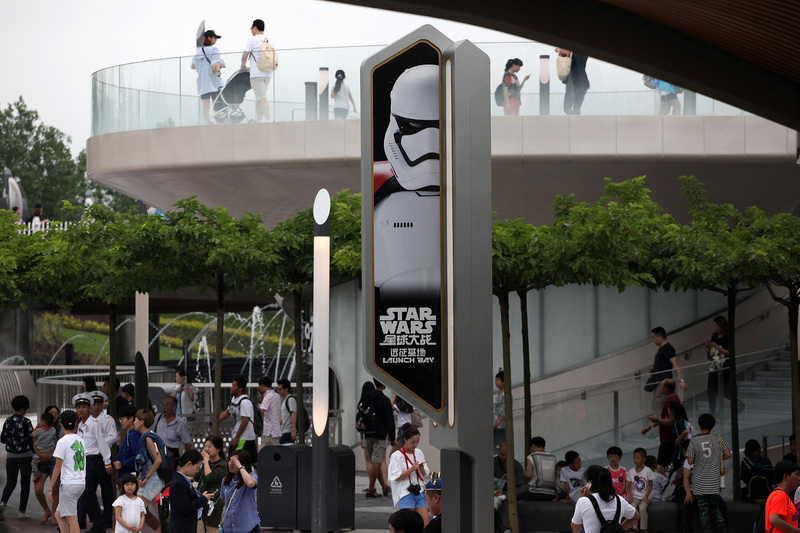 There’s certainly enough land in Shanghai Disneyland to build a Star Wars Land, but hard to see the future is.